B & H Engineering, P.C. 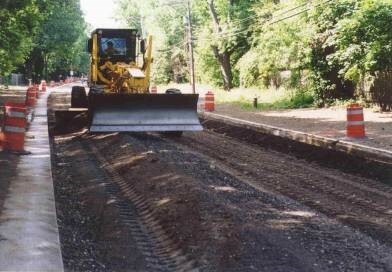 has provided construction inspection services, as a prime consultant, to the New York State Department of Transportation for asphalt resurfacing of 1.8 km of Old Westbury Road between Jericho Turnpike and Long Island Expressway in the village of Old Westbury, Region 10. The project involved widening of shoulders, pavement repairs, truing ang leveling, modifying and cleaning drainage structures, stone curbing, traffic signal, new sign installation, pavement markings, work zone traffic control, community relations' management, processing monthly contractor payments, reviewing submittals, monitoring EEO requirements and maintaining field office records.